Candidates are required to apply online. Last date is June 2016. For these, all post candidates can apply online. Registration starts in first week of may. Fee required for post and can be filled by Debit/Atm Card/Bank Challan Online. More Info. In Advertisement, is available in download column. A) Desirous/ eligible candidates must have to apply online through official website of the http://punjabpolice.gov.in/ Commission . Applications received through any other mode would not be accepted and summarily rejected. B) Check Posts details which you want to apply, check Education Eligibility, Age other information regarding vacancy. D) Candidates carefully read instruction regarding post. E) After submitting the Online Recruitment Application(s) (ORA), the candidates are required to take a printout of the finally submitted Online Recruitment Application and submit the same along with requisite attested documents / certificates in support of their eligibility to the Commission on the day of Screening Test for the concerned post. Incomplete Online Recruitment Applications submitted without requisite examination fee, scanned photograph & scanned signatures of prescribed size, will be rejected straightway. The candidates should possess requisite essential qualification(s) prescribed for the post(s) for which he/she wants to apply for PUNJAB POLICE RECRUITMENT 2016. Use your personal information, before submitting check your bio-data well should be same as 8th Or 10th class certificate. Use Only scan picture & Signature. Do not use any artificial Image like wear cap, or not in a suitable manner. Please Apply as soon as possible because of Last Min Rush. Take Print out of application form for use further. Selection Process will be based on physical and examination. More details check advt. Qualification Certificate as per post. PP invited Government jobs as per ADVT. 2016 for Constable/SI in India. These all posts on regular base. All information in this post from official notification if any problem found or query please contact us here. We provide all information truly based by official advertisement (can be download from Download Column). Candidates are requested to visit official website (http://punjabpolice.gov.in/) for any other type of information. We also recommend to check our website (www.thesarkarinaukriblog.com) daily for new notice or press release. Furnishing of false information or suppression of any material fact(s) in the online recruitment application form would entail disqualification of the candidate. 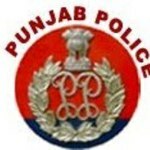 PUNJAB POLICE RECRUITMENT 2016 If a candidate is found to furnish false information or suppression of any material fact(s) in his / her online recruitment application form he / she will be disqualified from appearing for recruitment to any post to be advertised either by this Commission or any other recruiting agency. The candidates applying for the post(s) should ensure that they fulfill all the eligibility conditions for admission to the examination. Their admission at all stages of screening test/ examination for which they are admitted by the Commission viz., written examination and viva-voce test will be purely provisional, subject to their satisfying the prescribed eligibility conditions. If on verification at any time before or after the written examination or interview test, it is found that they do not fulfill any of the eligibility conditions; their candidature for the examination will be canceled by the Commission.